Aladdin's 1953 catalog of homes has a cross section of homes that span the styles of the late 30s and 40s minimal traditional to the increasingly popular ranch style. Many of the homes retain the simplicity of the pre-War homes and lack the garages that became so prevalent after World War II. 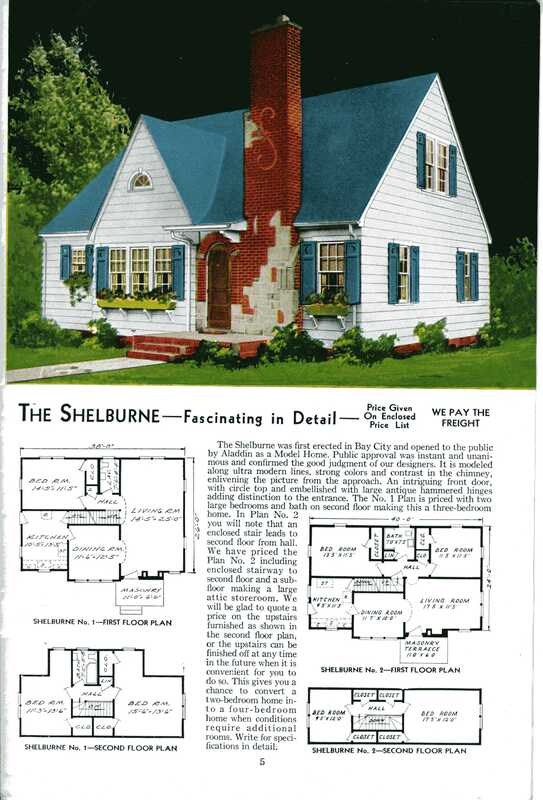 The slide show below contains images from our Aladdin catalog of 1953 with close ups of the house and some interiors.